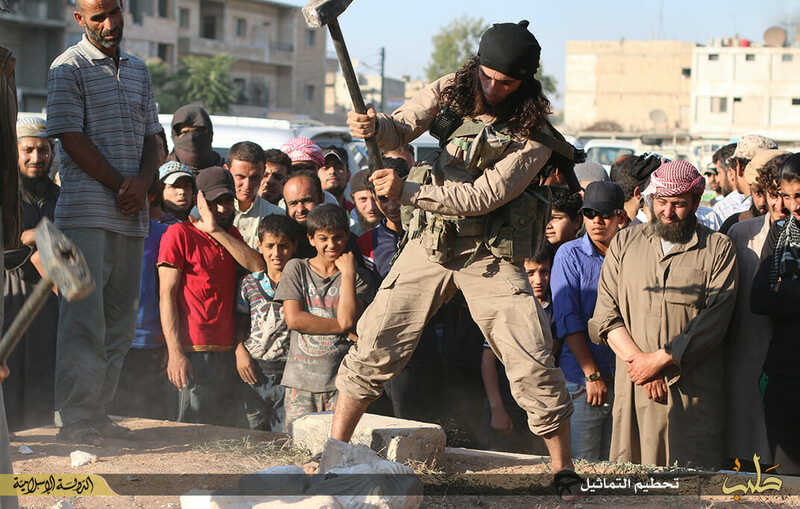 ISIS released photos today of the destruction of several ancient “statues and contraband” from Palmyra, Syria. 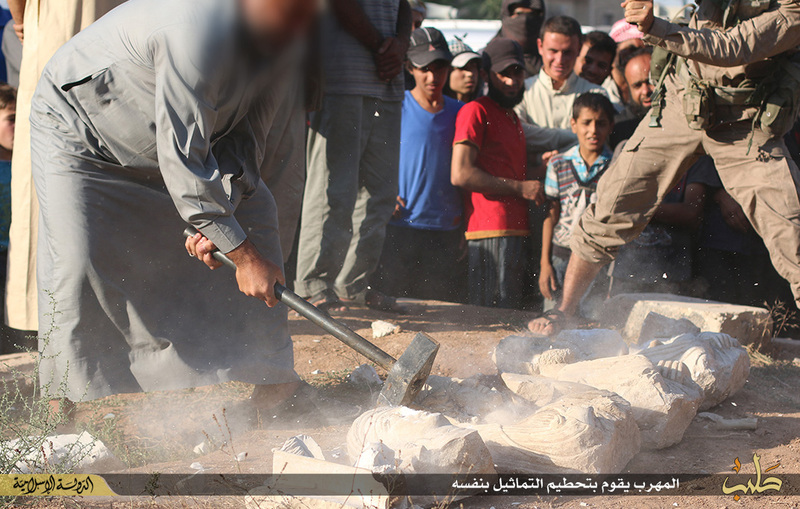 Managed thanks to God Almighty Islamic State deployed in the state barriers to adjust person with a group of contraband statues of the city of Palmyra in the state of Homs, then was transferred to the Islamic court in the city of Manbej where ruled that Ptazir getaway and destruction of the statues, and thankfully before and after. 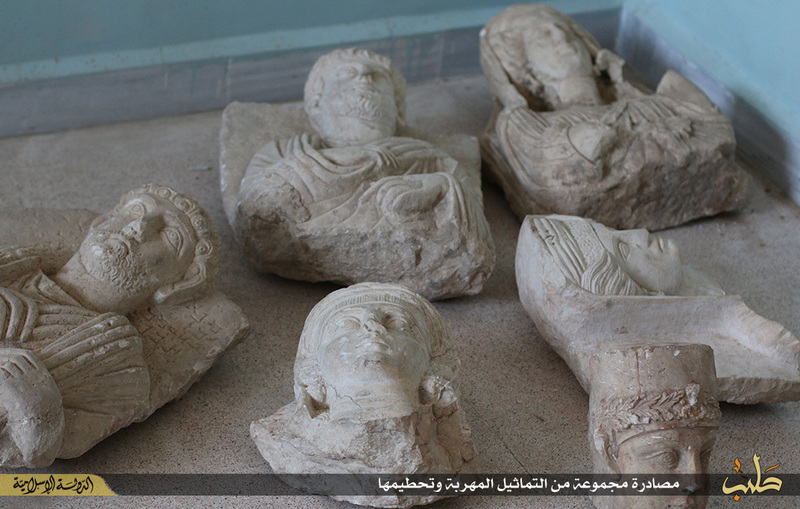 ISIS rebels unloaded these statues from their vehicle and lined them up in the street. 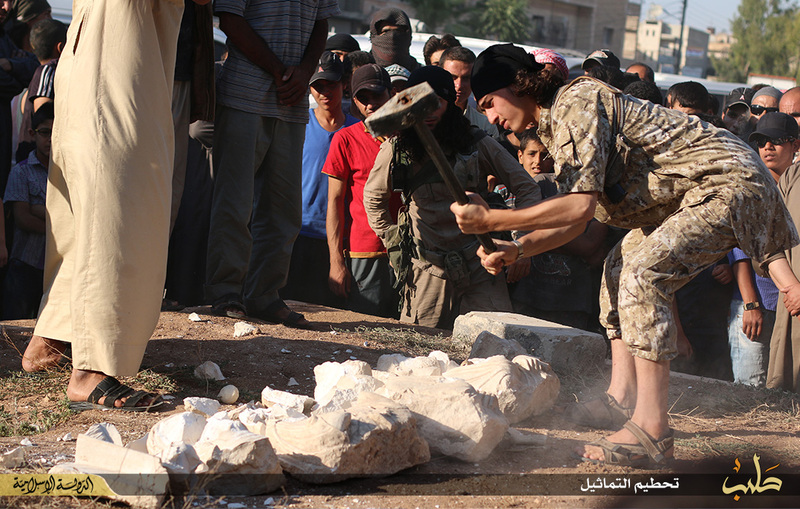 Islamic State fighters then began destroying the artifacts with sledge hammers. The local children were given a front row seat. 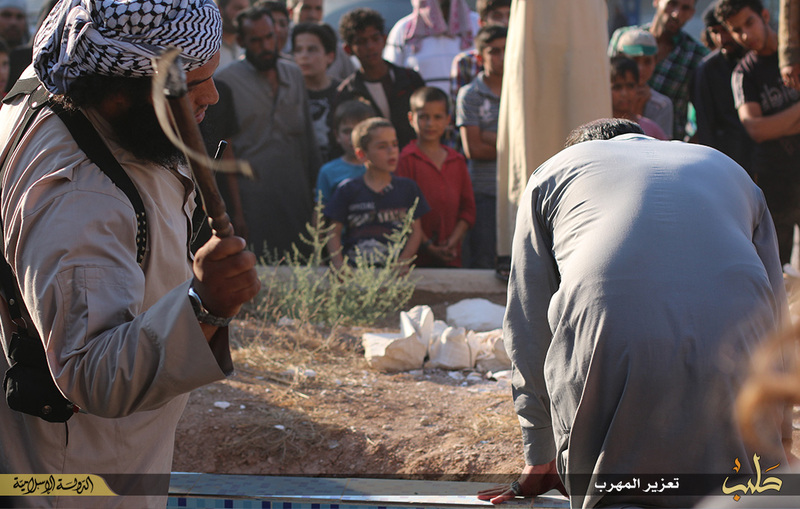 ISIS ended the event with a public flogging.